Heat the broth over medium low heat. It is important that the broth is hot when you add it to the risotto. Preheat the oven to 400F. 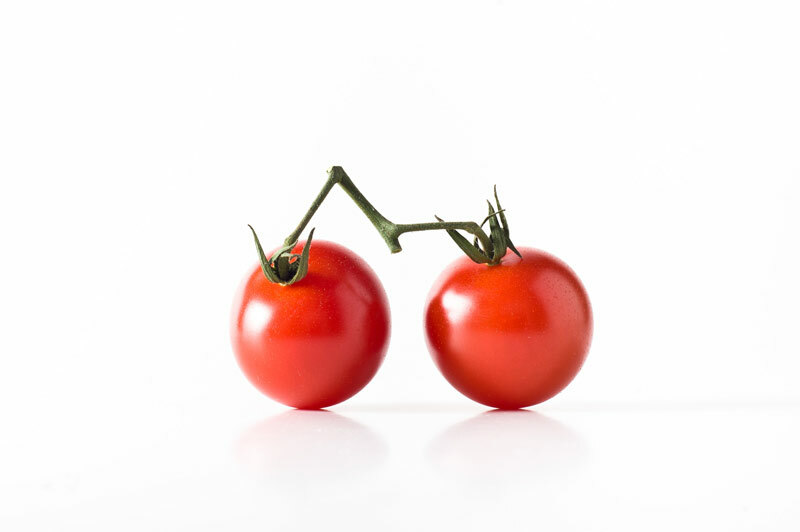 Toss the cherry tomatoes in 1 tablespoon of olive oil. Season with salt and freshly ground pepper. Bake the cherry tomatoes in a oven proof dish for about 20-25 minutes or until the skins are bursting and the tomatoes are starting to collapse. Remove from the oven and cool for 10-15 minutes. Carefully puree the tomatoes (they will still be hot). Set aside. Heat the butter and the remaining tablespoon of olive oil in a medium size pot over medium heat. Add the onions and garlic. Stir and cook until softened, about 4-5 minutes. Add the rice and stir to ensure the butter and olive oil coat the kernels of arborio. Cook for about 5 minutes, stirring. Add the tomato puree and stir to mix in. Add a ladle of hot stock and stir until the liquid is mostly absorbed. Continue stirring and adding hot broth as the rice absorbs it. 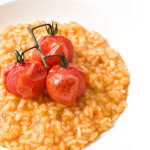 The risotto is cooked when the grains of rice are tender, but still firm. It’s possible that you won’t use all the stock, make sure you’re tasting as you cook. Remove from the heat then stir in the parmesan and adjust the salt and pepper to taste. Browse the Recipe archive. This entry was posted in Recipe. 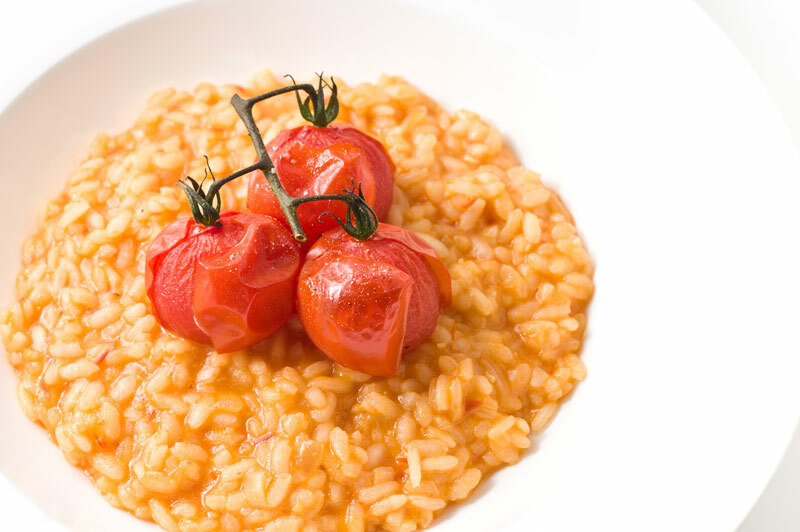 Ingredients: arborio rice, butter, chicken broth, garlic, Houwelings Cherry Tomatoes on the Vine, olive oil, onion, parmesan, salt and freshly ground pepper to taste. Course: Main Dish. Cuisine: Homestyle. Rating: 0 stars. Bookmark the permalink. Both comments and trackbacks are currently closed.